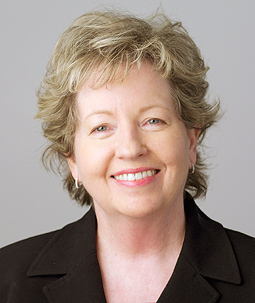 Suzanne C. Howle was admitted to the Texas Bar in 1980 and the Washington Bar in 1982. Since 1984, Suzanne Howle's practice has emphasized guardianship, probate, estate planning, and representation of fiduciaries in various roles. She is the managing partner of the firm. Suzanne Howle is widely recognized as one of the top lawyers in Washington in her practice areas. The publication WASHINGTON LAW AND POLITICS named her a “Super Lawyer” in every year from 2003 through 2019. She has also been listed as one of the “Top Lawyers” published by SEATTLE MAGAZINE. When SEATTLE BUSINESS MONTHLY polled 5000 attorneys in the Puget Sound area, Suzanne Howle was chosen as a “Top Lawyer” by her peers. In addition to representing individual clients, Suzanne Howle has authored and co-authored several widely-used practice manuals for lawyers and is a frequent speaker at continuing legal education seminars. She co-authored the guardianship section of the King County Probate and Guardianship Manual, published in 1995, and edited updated chapters of the King County Probate Policy & Procedures manual in 2002, 2009 and 2011. She has been lead co-author and editor of "Chapter 10: Probate and Guardianship" of the Washington Lawyers Practice Manual for many years.